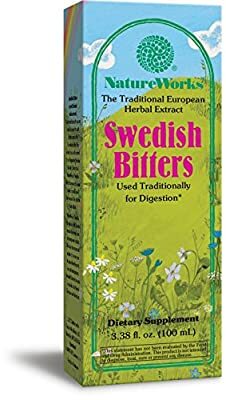 Swedish Bitters contains a combination of herbs suggested to Enhance cleanse the system, promote regularity, improve digestion, soothe the system, tone the liver, and increase energy. NatureWorks Swedish Bitters, The Traditional European Herbal Extract. Gentle and Stimulating. Promotes Regularity for Healthy Digestive Function. Swedish Bitters secret formula rediscovered.